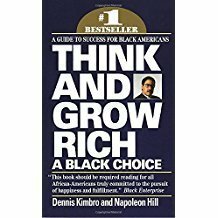 Author and entrepreneur Dennis Kimbro combines bestseeling author Napolean Hilll's law of success with his own vast knowledge of business, contemporary affairs, and the vibrant culture of Black America to teach you the secrets to success used by scores of black Americans, including: Spike Lee, Jesse Jackson, Dr. Selma Burke, Oprah Winfrey, and many others. The result is inspiring, practical, clearly written, and totally workable. Use it to unlock the treasure you have always dreamed of--the treasure that at last is within your reach.